An old friend was about to have a major birthday celebration (you know who you are you old bugger!). As is customary for me in these situations – I drew a complete blank when it came to deciding on what gift to give! Miraculously, inspiration finally came. 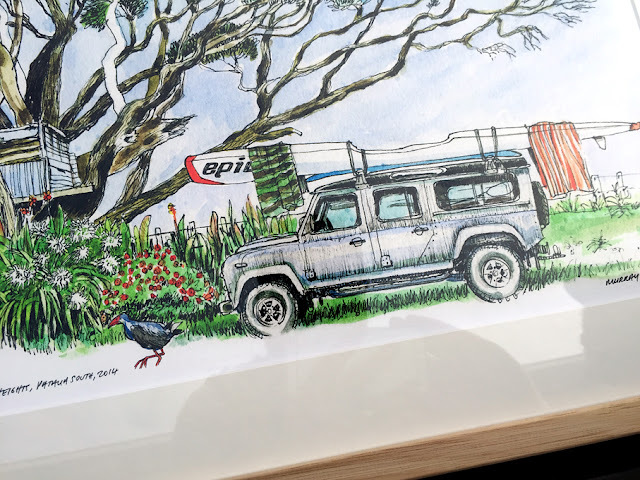 I'd give him a sketch I'd done a few years back of his surf ski, sitting on their family Land Rover, up at Pataua. Good idea, eh, but the sketch is bound in a sketchbook right, and I only had a week! 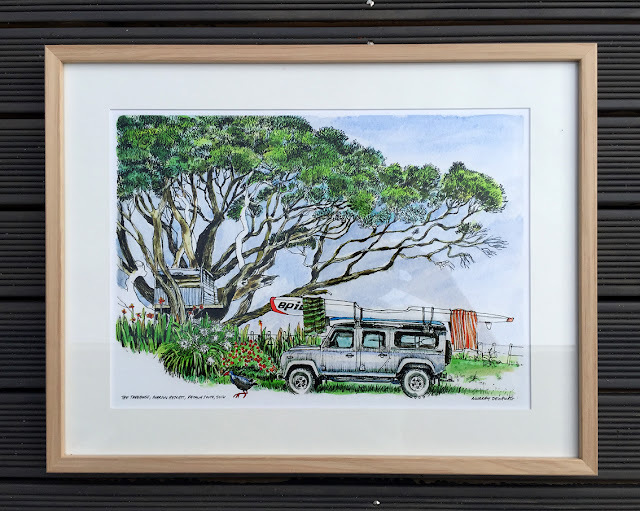 I did a quick high resolution scan and emailed it to Endemic World in Ponsonby Road. 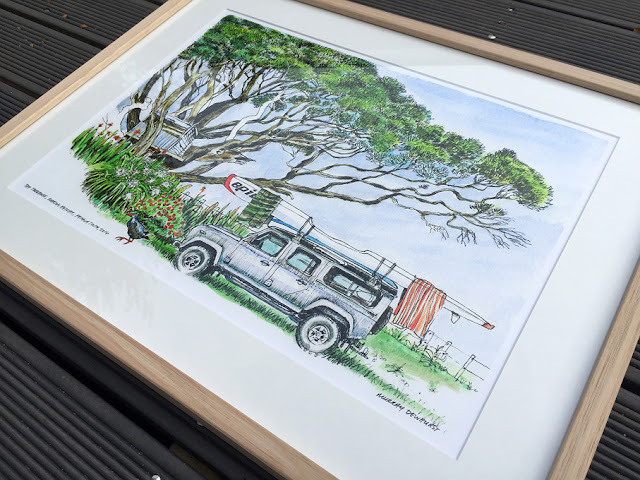 They printed it at A3 size for me using archival inks on acid free watercolour paper, matted and framed it in a raw oak frame - all in a week – fantastic service! Some snaps of it below or check out the original sketch original post here.